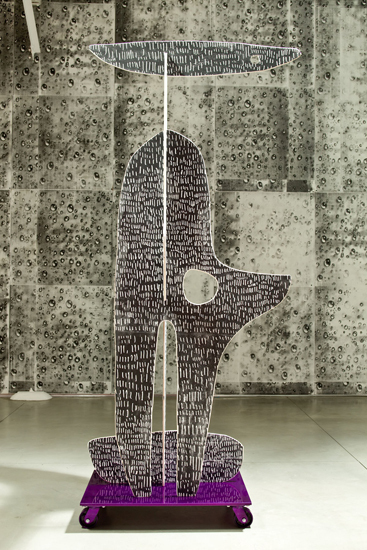 The Monad Has Wheels (Penguin Bear), silkscreen on wood, powder coated aluminium, 266.7x121.9x124.5 cm. Aaron Curry. 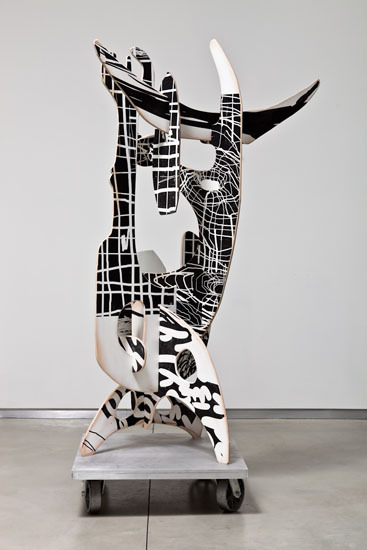 Untitled, 2010, painted wood, painted cardboard, 200.7x137.2x68.6 cm. Aaron Curry. 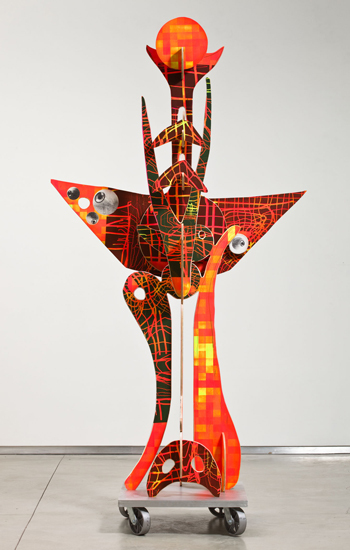 The Scarecrow's Wife, 2009, silkscreen on wood, steel, 292.7x149.9x101.6cm. Aaron Curry.